High Roof Panel Van Rental (2.5 Ton)– The high roof panel van is the perfect panel van for the television and film industry, it has enough space inside to walk and can be used as a wardrobe van or camera van easily. The vehicle has seating for 3 people on the front seat and the rear is enclosed for easy and safe transport of goods. The Sprinter High Roof Panel Van is the next level for panel vans in terms of the industry standard, and has plenty of space for goods to be loaded in the back, making it possible for a tall person to stand up and move about in the load compartment, if you would like to use it as a working space while the vehicle is parked. The vehicle is equipped with air-conditioner so your team can keep cool while they do their work, in their van rental. We understand that our customers need to meet very specific challenges in their day-to-day work. 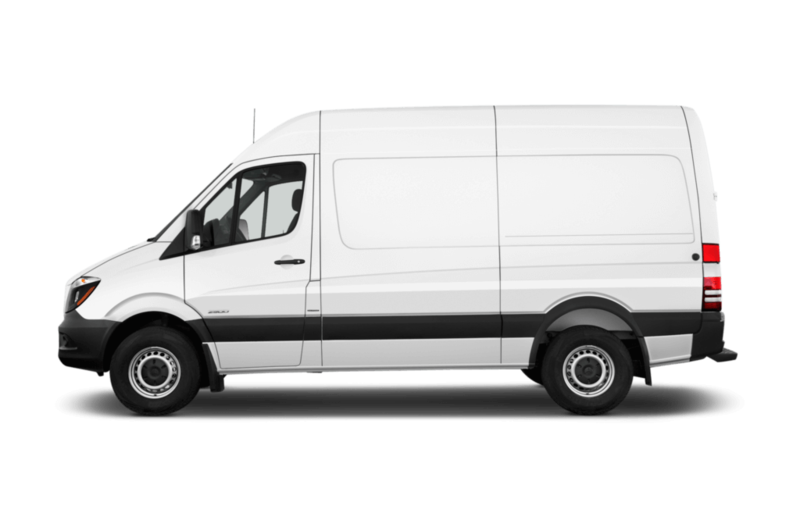 And as these demands are becoming larger by the day, Pace has made available the Sprinter High Roof Panel Van for rental. The capacity of the 2.5 Ton Sprinter High Roof Panel Van Rental has been optimized, with the perfect balance between redesigned wheelbases, total length and load compartment length. The maximum front and rear axle loads too are top-ranked in their class. Various height, door and securing options make it quick and easy to pack up and go, so you won’t waste any time between jobs. And because of the efficient use of space in all the Sprinter panel van, you’ll find a place for everything. This model comes with a high specification as standard, from safety and loading features to comfort and styling. Definitely a transport professional!